Bring the Paneer out of the fridge and keep it in the kitchen before two hours of actually making the recipe. Paneer should be at room temperature. Grate this paneer in a mixer grinder. 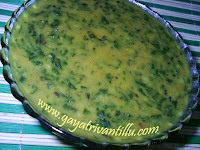 Add condensed milk, maida, baking powder and ghee to the grated paneer and run the mixie to get a sticky smooth paste. Transfer the prepared mixture to a bowl and keep it aside for 20 minutes. Do not worry about the stickiness. In the standing time of 20 minutes the paneer would absorb the condensed milk and the mixture would be amenable for making round balls. Take a bowl and add sugar & water to it. Prepare sugar syrup by placing this bowl on flame. Remove the skins of cardamoms and powder the seeds. When the sugar syrup is boiling, add the cardamom powder and mix well. Place this bowl in a rice cooker in “KEEP WARM” mode to keep the syrup warm. After 20 minutes the sticky dough becomes manageable to make round balls. A total of 18 balls can be made from this mixture. To begin with make 7 balls from the dough. For making balls take sufficient dough and press between palms. Then rub the pressed dough in circular motion to get a smooth round shaped ball. Prepare 7 similar balls (Pulis). Heat a pan and add oil to it. To test the right hotness of oil take a small piece of dough and put it into the oil. The dough first sits at the bottom of the pan and then slowly rises to the top—that is the right temperature at which we have to fry the PULI’s. If the dough rises fast from the bottom of the pan, it indicates the oil is overheated. You need to switch off the stove and wait for a while. If you have a thermometer the oil should be 105 degrees centigrade. Take a slotted spoon and turn the oil to make whirls. Now slowly add the PULI’s stirring the oil all the while. Stir oil with the slotted spoon without touching the PULI’s when they are just put in the oil. Keep stirring the oil throughout. After few minutes the PULI’s will rise to the top detaching from the bottom of the pan. If required, after a while you may just nudge them a little to dislodge and rise. When they are golden brown in color remove from oil. Keep the PULI’s aside for 3 to 5 minutes before adding them to the warm syrup. Switch off the stove as the temperature of the oil will be more to fry the next round of PULI’s. After 5 minutes add the fried PULI’S to the warm syrup. Stir the cooked PULI’s in intervals. Now again switch on the stove and make seven more balls. Test the heat of the oil before adding the Pulis. Fry them as mentioned earlier. Similarly make balls till Do not be alarmed with the stickiness of the dough when made. It would be alright in 20 minutes standing time. Take care of the temperature of the oil. The success of the recipe lies in frying the PULI’s at right temperature. For this all you need is LOTS and LOTS of PATIENCE. Do not crowd the oil pan by adding more balls to the oil while frying. As the balls become double in size ensure free space for the balls to move around. Even if you are left with little dough for the last batch, do not add more balls to the oil. Fry the PULI’s and soak them in warm syrup. Soak all the PULI’s in the syrup and keep this bowl in rice cooker in “KEEP WARM” mode for at-least 2 hours. After 2 hours the CHANNAR PULI’s (Gulab Jamuns) would be ready to be served. Do not touch the PULI’s while frying till they rise up all by themselves. Otherwise they will stick to the spoon you are using and they lose shape. So just stir the oil without touching the PULI’s. At best nudge them to rise after a while. Keep the sugar syrup warm till you finish frying all the PULI’s. The best method is to keep the syrup bowl in rice cooker in “KEEP WARM” mode. If you don’t have a rice cooker keep it in normal warm closed cooker. After 2 hours of soaking in warm syrup the PULI’s absorb the syrup and become juicy. To test this cut a PULI into half and see. If the PULI is not fried well then you will find a white colored circle in the centre of the PULI. Such Puli’s will not absorb sugar syrup. If the oil is too hot the Puli’s would turn to golden color very fast without being cooked inside, forcing you to try the recipe all over once again. Such Pulis when added to syrup will not absorb sugar syrup. Hence take care not to fry Pulis in hot oil. 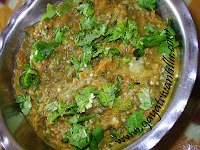 This is a Bengali recipe. The recipe comes out well if the procedure is strictly followed. Those of you who are young and not weight conscious may fry the Pulis in Ghee or Vanaspati for enhanced taste. i tried gulab Jamun, it came very good. Hi Gayatri gaaru , I like your recepie very much , and I tried few they came out well. Recently I tried Gulabjamuns with MTR ready made mix but they didnt came out well I have fallowed the istructions written on the pack please help me in getting good gulabjamuns. Meeru Jilebi ela chestaro kuda mee list add cheyandi nenu daanikosam mee site lo vetikanu kaani ledu.